I was honoured to be invited by May Ang Seok Leng to present at the MSTA Seminar and attend the annual dinner on 7th November at the Kelab Golf Negara Subang, Selangor. The event was opened by Wee Chye Ghee, MSTA President, who gave a welcoming speech; I presented the IFSTA International Teaching Accreditation to an attentive audience and was followed by Ho Kok Yew, the legal advisor to MSTA, who presented The Swimming Teacher – Negligence & Duty of Care, which he brought to life with practical examples. After a short break I was back up presenting How to Swim Front Crawl, Is There a Right Way? using video examples from recent courses I had delivered in Vietnam and Ireland. 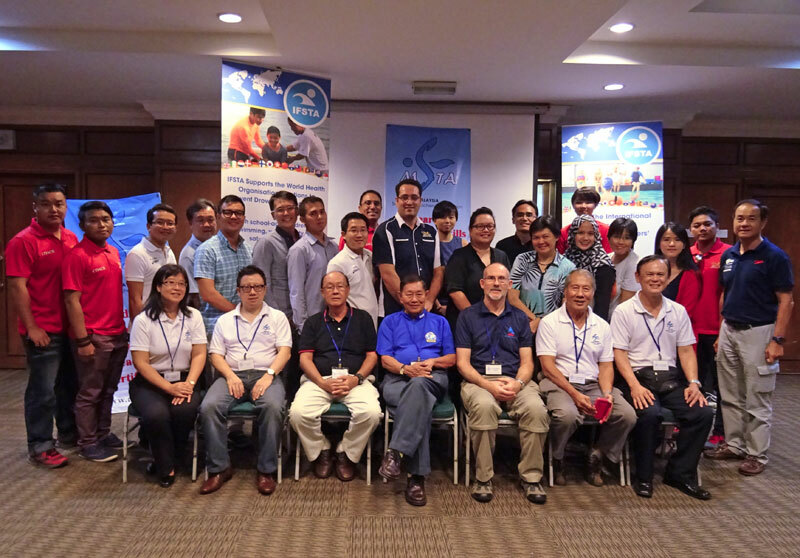 MSTA Vice President, Wong Tong Poh, then presented a thought provoking talk Emotion Unwrapped Through Sport and the seminar closed with MSTA Swimming Teachers Sharing Their Experiences and Inspirations. 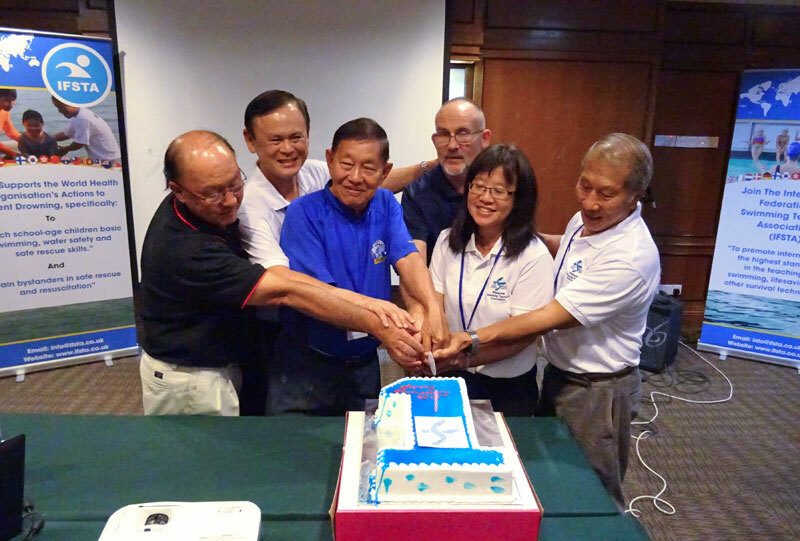 The Annual Dinner and group photos followed, including the 1st Anniversary Cake Cutting. The event concluded with a presentation for those completing a charity swim.